It has been a trying year for Kurt Busch this season. 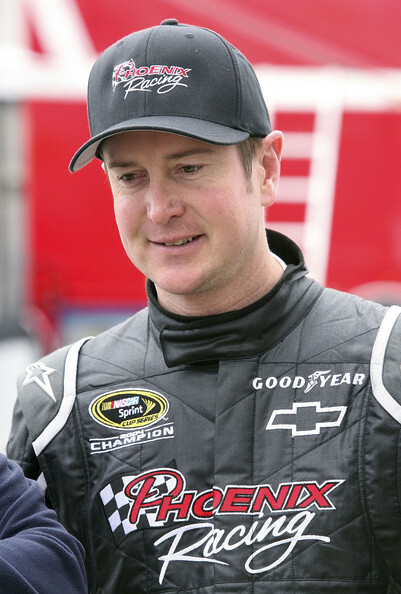 After losing his ride after that well-publicized outburst at ESPN's Jerry Punch at Homestead in November, he found himself at Phoenix Racing, a team that has been around, has support from Hendrick Motorsports and even won a Cup race a few years back but has struggled to get sponsorship and has not had much sponsorship this season. He has had good runs but has had some bad luck. He had a little bit of a scuffle with Ryan Newman at Darlington and then he got suspended from the race this weekend after another outburst with Bob Pockrass of Sporting News. David Reutimann is filling in the 51 Chevrolet. One thing that could brighten the prospects of Busch and his team this season would be finding sponsorship. And there is one potential sponsor that may be in the mix. That sponsor would be none other than the "Jerry Springer Show." I kid you not. Lee Spencer from Fox Sports broke the story as she reported that the team's general manager showed them mock schemes with the car being sponsored by the infamous program. Apparently, representatives from the show approached Phoenix Racing after Busch ran at Talladega in the paint scheme that Ricky Bobby in the film Talladega Nights ran during his comeback at the same speedway. 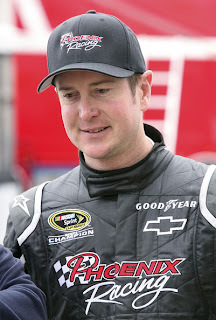 And after all, of any of the drivers to rock a paint scheme of the "Jerry Springer Show," you would think that it would be the resident bad boy that would be Kurt Busch. While most teams would probably shrug off a program like that for sponsorship, even if these tough economic times, but I have a feeling that owner James Finch would not mind. Of course, if the meeting between Busch and Finch does not go well on Tuesday and the 2004 Champion finds himself out of a ride, this all will be mute. Then again, maybe Springer would follow Busch wherever he goes. Stay tuned.